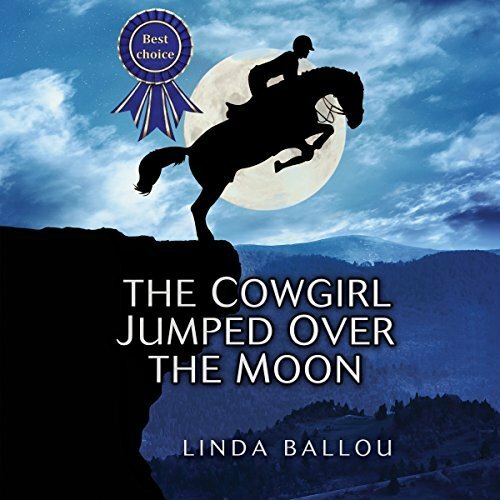 Audiobookworm Promotions is organizing an audiobook blog tour for The Cowgirl Jumped Over the Moon, a Fiction novel from Author Linda Ballou. The tour will run from Jul. 12th to 18th and will have 15 maximum stops. Signups end on July 6th. The Cowgirl Jumped Over the Moon is narrated by Scott Glennon and is 8 hours 56 minutes in length. Review copies will be distributed by Jun. 14th. Reviews must be of at least 3.5 stars. Post options for this tour include: Reviews, Spotlights, Audio Excerpts, Author Interviews, Guest Posts, Character Profiles, and a giveaway. Nothing pleases, Los Angeles based, adventure-travel writer, Linda Ballou, more than seeing gorgeous country from the back of a good horse. She has had the pleasure of staying at guest ranches in Montana, Wyoming, Colorado, Arizona and California, along with horse treks in Ireland and Ecuador. 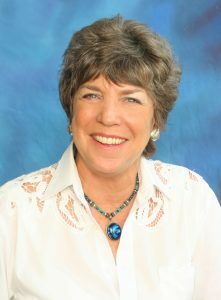 Her articles have appeared in Equus, Horse Illustrated, Western Horseman, California Riding Magazine and numerous travel publications. Her story Irish Mist recounting her cross-country jumping adventure in Ireland appeared in the anthology Why We Ride. Writing The Cowgirl Jumped Over Moon was her way of dealing with an injury that forced her to leave the jumping world behind. The Cowgirl Jumped Over the Moon was a finalist in the Indie Excellence Awards and is receiving 5-Star reviews from horse lovers, as well as those who love an action-adventure story with a sizzling love triangle. The Cowgirl Jumped Over the Moon was the Founder’s Choice at the 2017 Equus Film Fest in New York. Jun. 14th: Review copies are distributed. Jun. 28th: Interview questions due to me. Jul. 6th: Media packets are distributed via email. Looking forward to many happy listeners. The Cowgirl Jumped Over the Moon was the Founder’s Choice at the Equus Film Fest in 2017.